So ya wanna know how to receive the spirit huh? Why DO you want to be “filled” with the Holy Spirit? This is the question that you really have to answer before you go any further because if your intentions aren’t clear and right than the only chance you have is for the Father to have predestined you from the beginning, which is not impossible but, ….well,… it’s not impossible. If your intentions are pure and real and not for personal gain, then here’s how you too can receive the Advocate, the Helper that will change you from the inside out, just as He has me. It’s at this juncture that I am tempted to insert scripture to help support my theory but I am going to resist and instead let you discover on your own what God wants you to read and hear, and therefore you will be getting it directly from Him, because after all, it’s really up to Him anyway. (If that doesn’t make sense it’s o.k., it will in time and study, but please don’t give up). I say ‘theory’ because that is what this is. I don’t know if it will work because I have never done it myself and seen the desired results, nor have I given this formula to someone else and seen it work, but because I am indeed filled with God’s Holy Spirit I crave to help others have it as well, so I am nearly continuously doing just that in one way or another. In fact, the only time I am not is when this world gets in the way, meaning, chasing this false reality of our own creation which we have to do to some extent just to pay the bills. (This too will become clearer with scriptural study so don’t get side tracked here either). This is as close as I have been able to relate what I have experienced in human terms. If you have ever felt what you consider to be “true love”, like the first time you fell in love with your highschool sweetheart, you know, the kind of love that completely envelopes your every thought, then you have an idea of what I am talking about. It’s like that only MUCH stronger and completely infallible. If this sounds unbelievable, I understand, I once felt that way too. That’s what makes it all the more amazing and all the more compelling for me to continue to try and find a way to make it accessible to others! So now on to the theory. Please give it a try and then let me know how it goes, that is if you feel compelled to let me know. I mean, your relationship with the Father is really between you and God and that’s what counts here, I would just like to know if it works considering this isn’t how it happened to me. You see, I was just suddenly changed in a small way that began with a curiosity one morning and so this is where I believe it has to begin. That’s right, this ISN’T how it went down for me. But how I was changed I simply cannot duplicate. I just woke up one day with a curiousity for Jesus. No one said anything to me the night before, I just on a whim watched a pre-taped show on the History channel about the bible, thought nothing special about it, and went to bed. This I believe was the planting of the “mustard seed” by God and from there it just grew so how can I expect to say or do anything to simulate this for someone else? That has in fact been my ongoing perplexity! But I can come to the obvious conclusion that it did indeed start with researching Jesus Christ and so I think it must start here. Not just because it happened to me in that way but because after it did happen to me I later went on to read in the bible that this is how it has to happen, we must go through Jesus. This is multi-dimentional, as you will find out through study as well. Also know this as truth, you must come to know Jesus. Not just know about Him but to fall in love with Him. Now here’s the tricky part, how can you fall in love with someone you don’t know? STEP ONE- research who Jesus was when He walked the earth. What did He do, what did He say, and what do those actions and words mean? I started with movies but I invite you to go wherever the Spirit takes you. God bless you and keep you in the same mind as Jesus, Amen. Author Tom McGrawPosted on November 8, 2017 January 8, 2018 Format GalleryTags born again, Christian, Christian blog, christian family life, Christian inspiration, Christian politics, Christian revelation, Christianity, church, daily bread, end times, free Christian book, God, Holy spirit, inspirational quotes, Jesus Christ, parenting, religion, scriptureLeave a comment on Receivieng the Spirit, here’s how. ONLY TWO rules to success…. Christ Jesus was given to us as an example. He wasn’t sent to judge or condemn, He is our shining role model of how God wants us to be. He talked the talk and walked the walk showing us all, (the people of the time and everyone that the Father leads to Him), that walking blamelessly isn’t just something that we can aspire for, it is achievable! He was fully human, meaning He experienced the exact same feelings and seemingly irresistible temptations and CHOSE WITH HIS FREE WILL to do the right thing, and so can we. But it starts in your mind. Perspective is truly everything. Live by the golden rule that we all learned in kindergarten, treat others as you want to be treated, and if you are stuck on what to do, ask yourself, what would Jesus do? Can you imagine if everyone did this, how different this world would be……….. Author Tom McGrawPosted on November 10, 2015 November 13, 2015 Format GalleryTags answers for atheists, Christian, church, daily bread, inspirational quotes, parentingLeave a comment on ONLY TWO rules to success…. 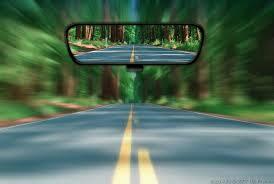 When we focus on the rearview mirror our future becomes blurred. Don’t let your past dictate who you are or can be. Author Tom McGrawPosted on October 29, 2015 November 5, 2015 Tags inspirational quotesLeave a comment on The mirror lies…. 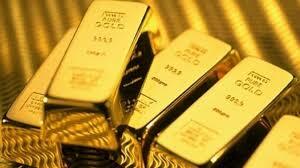 It has been said that “If you aren’t receiving what you want in life you’re probably wanting the wrong things”. Every man-made problem in this world can be first helped and then eventually solved if we just take what is stated in Matthew 6:33 to heart. So what does it mean to “seek first the kingdom of God” anyway? First of all what are “these things” Jesus is talking about? If we read the prior passages we find that He is speaking about our desires of this world. We may think that we need some material thing but our Father truly knows what we need and if we truly love Him, He will give it to you. Which leads me to the one thing that has resonated most with me since the beginning of His presence in my life. I have come to understand that God is no different from any loving father. If you want to imagine how God feels about you then just think about how you feel about your child. Now, back to the question at hand, what does it mean to seek first the kingdom of God? Some people believe it to mean “We are to seek the things of God as a priority over the things of the world.” which in my opinion is too general so let me narrow it down. 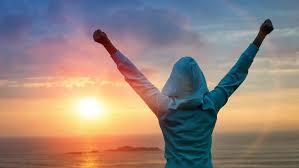 Every day when you rise up out of your bed, simply and gratefully give your first fruits of the day to Father God. This means to give thanks to Him for another day to be His light and ask Him to make plain to you His will for you so that you may do His will and not yours. The acceptance of His will over yours is a key as we read in Romans 8:28, “And we know that in all things God works for the good of those who love him, who have been called according to his purpose.” And so we know that even though it may hurt at the time, it is for the best so it must be accepted. Now in taking this approach you have put your focus in the right perspective and “His will be done” has become more than just something we say and pray, it is what we truly now accept and strive for. Then, when you strive for His will over yours, peace is achieved because the gospel of John 5:14, which tells us; “This is the confidence we have in approaching God: that if we ask anything according to his will, he hears us.” becomes truth. I am not saying you will achieve fame or fortune and I’m not saying you won’t. I don’t know the will of God for you. But I can assure you this, you will have peace and joy. and isn’t that really all that you need? It really works but here’s the first hurdle. Throughout the course and trials of the day keep referring back to Him in this way. Seek His will. In doing this without hesitation you will be seeking first the kingdom of God. The second challenge is to remain patient and diligent in Christ believing without doubt. Author Tom McGrawPosted on October 26, 2015 November 5, 2015 Tags Christian, church, inspirational quotes, parentingLeave a comment on What is success?